A big part of your brand is your logo. It tells your brand’s story and communicates core messaging without a single word. In many ways, it is like a shorthand for your brand. Because of this, it is important your logo stays up to date and modern. While consistency is a key factor when it comes to branding, so too is relevancy. Many companies have (wisely) opted to update or “refresh” their logo over the years, in order to better reflect their changing brand values and identity. In many ways, a logo refresh or update is like a good haircut. It’s a subtle change, but you notice something is different, something is better. 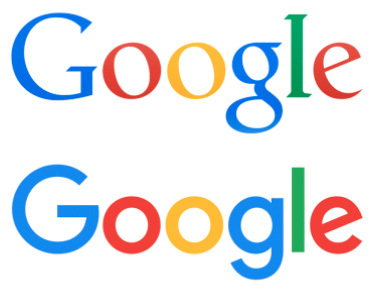 In 2015, Google changed its logo from a serif font to a custom, sans-serif font. Considered by some as its “biggest update in 16 years,” the new, sleeker logo better represents Google’s modern brand identity. Today, Google is so much more than just a search engine. It has become a dominant force in the tech industry, moving into the realm of virtual reality, self-driving cars and even spoons. Google’s new logo visually represents this shift, and better encapsulates their innovative and daring brand identity. In 1873, Adolph Coors set out to brew his own beer from the icy waters of the Rocky Mountains. The result? Coors Light. 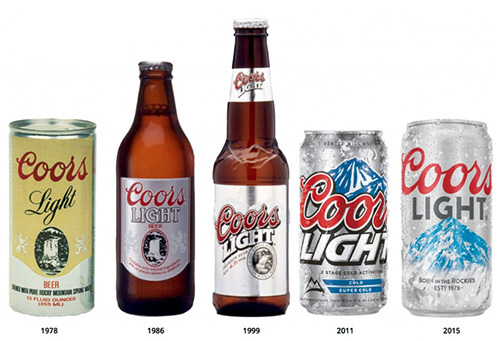 Since its creation over a century ago, Coors Light has kept its logo fresh and up to date. Its most recent update was also in 2015, when the logo went from cartoonish and bulky to polished and contemporary. While a classic beer, a logo refresh was what Coors Light needed to stay relevant and competitive in such a booming market. Recently, Yukon Energy updated their logo (with some help from their friends here at aasman) to better reflect their mission, values and vision. Clean and sustainable energy has become a major concern in today’s world, one which Yukon Energy recognizes and has prioritized. The new logo better represents Yukon Energy’s commitment to sustainable and clean energy, and their dedication to establishing a sustainable legacy for Yukon’s future. Remember, consumers are interested in what’s new and what’s now. Is your logo fresh? Is it modern? Does it still reflect your brand identity? If not, it’s probably time for an update. But fear not, we can help! Drop us a line and let’s get started.